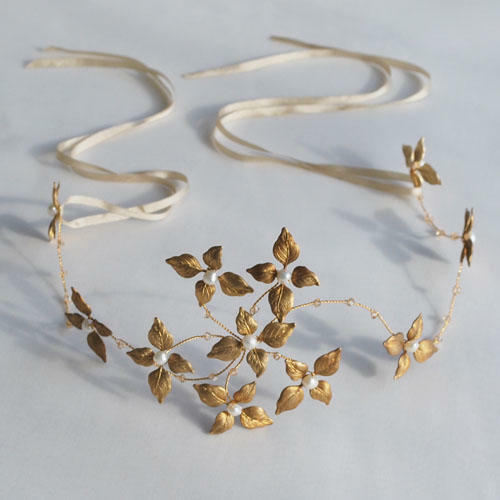 Matt gold hair vine with pretty pearl flower detail. 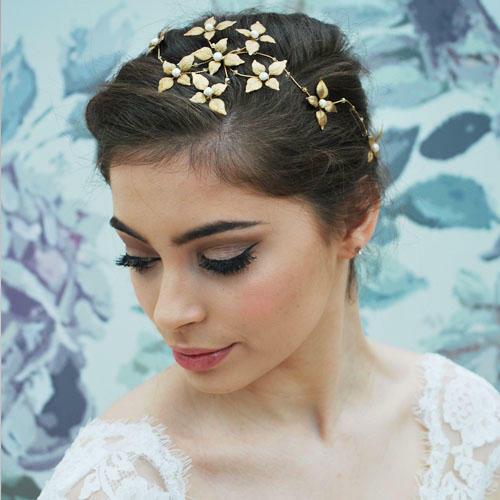 This gorgeous bridal hairvine has a lovely vintage vibe and would add a subtle sophisticated feel to any bride's attire. Tied with a dainty matt gold silk ribbon at the back of the hair or worn with the flower detail around a bun or 'hair up' style this pretty hairvine will add a delicate touch.